Linking Lives is A 501(c)(3) nonprofit organization whose mission is to Advance social service programs in developing countries, most particularly, Ethiopia. They are committed to supporting, enhancing and expanding the delivery of medical care as well as mental health care in Ethiopia. Eleven years ago, Linking Lives was formed to support the vision of several medical doctors in Ethiopia and to fund projects which would enhance the delivery of medical care throughout the country. Currently, Intermezzo Gallery is involved in supporting the projects listed below. Linking Lives works closely with the Ethiopian NGO, The Trampled Rose, Inc., which provides medical care for women with fistula and medical training for members of the community in order to promote the end of fistula in future generations. You can bring hope to the women with fistula by supporting programs which will keep girls in school and bring community members a new understanding of fistula while they learn how to care for the women with compassion. 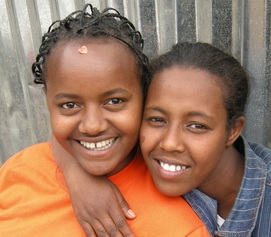 Services and training programs are expanding throughout Addis Ababa. At Intermezzo, When you purchase the handmade products crafted by Hospice Patients, 75% of the profit will be returned to those patients through Linking Lives to help provide food, housing and healthcare. These products include Handmade Paper Bead Necklaces, Note cards, and Cosmetic Bags. Scarves, bags, clutches, and home goods are all handcrafted in a shop committed to empowering women in Ethiopia through training and employment. 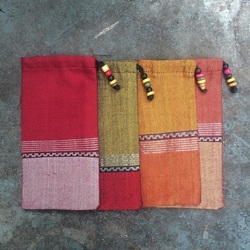 The products are designed and hand woven in a fair trade setting in Ethiopia. Your purchase of these beautiful products will support the work of Linking Lives.